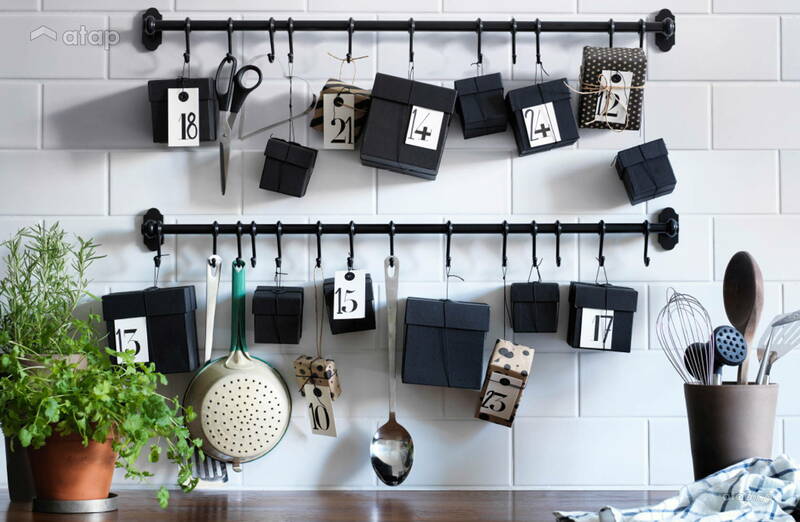 With these clever space saving tricks, a small kitchen doesn’t have to limit you! A small kitchen can be disheartening when you’ve got your heart set on being a Masterchef. Fear not as big dreams can be whipped up in the littlest spaces with the right tricks. 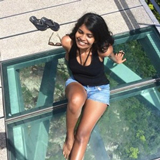 Kitchens have grown smaller over time – in Asian households especially, the standard space these days is minuscule compared to the dry kitchen + wet kitchen + table for grandma to chop veggies and for me to do homework combo we grew up with. Fortunately, having a smaller area doesn’t mean you have to struggle to fit in all the things you need. Prepping can be difficult in a small area – you need space for your chopping board, mixing bowl, and marinades. A foldout table gives you room to move around once prep time is done. Alternatively, get a mobile island that can be rolled away after use. 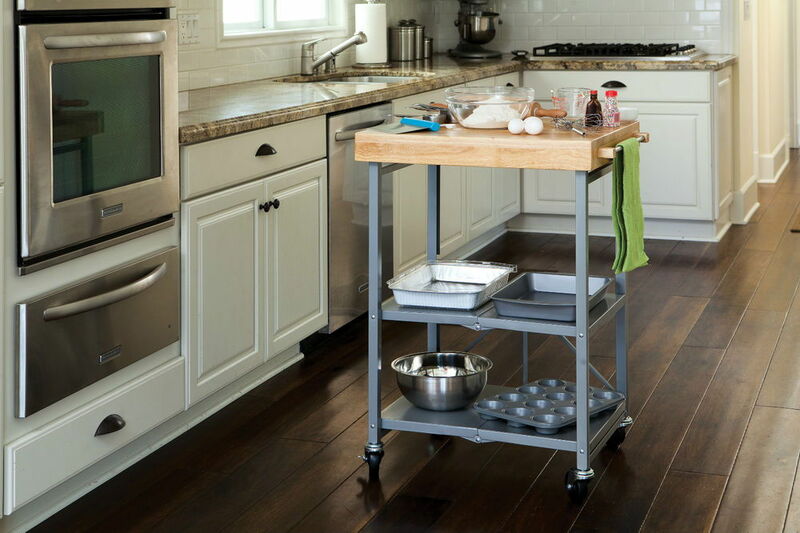 A roll-out rack takes advantage of narrow spaces and is ideal for storing spices or utensils. What’s extra great is that you have access to items even way in the back. Layering drawers is another way you can utilise poorly proportioned spaces – a drawer within a drawer can separate silverware, rubber bands, and other knick-knacks. If you’re short on both counter and storage space, turn to the walls. Mounting racks are a great way to display your best utensils and keep them within reach while maximising space. In fact, why stop at walls? 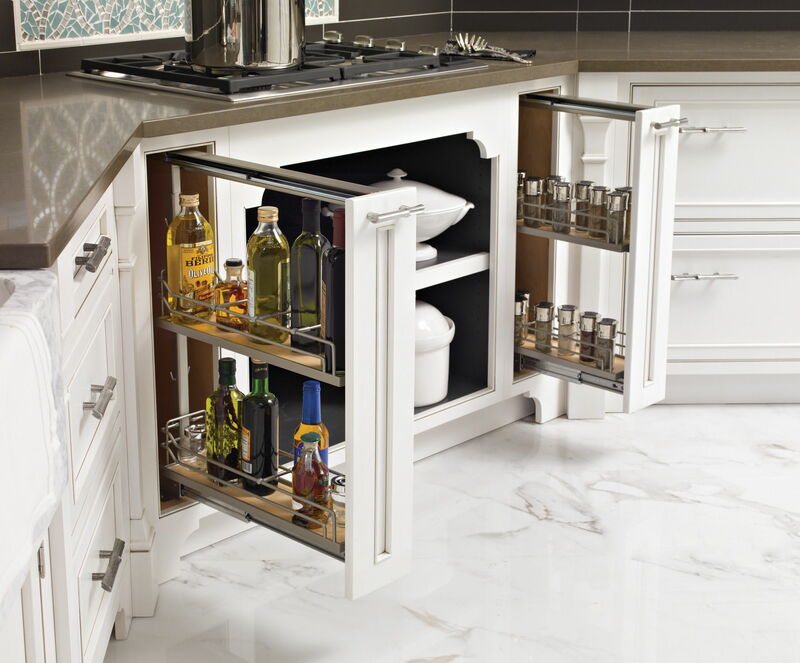 You can hang mini shelving units inside cupboard doors for trash cans, cleaning supplies, towels, and the like. 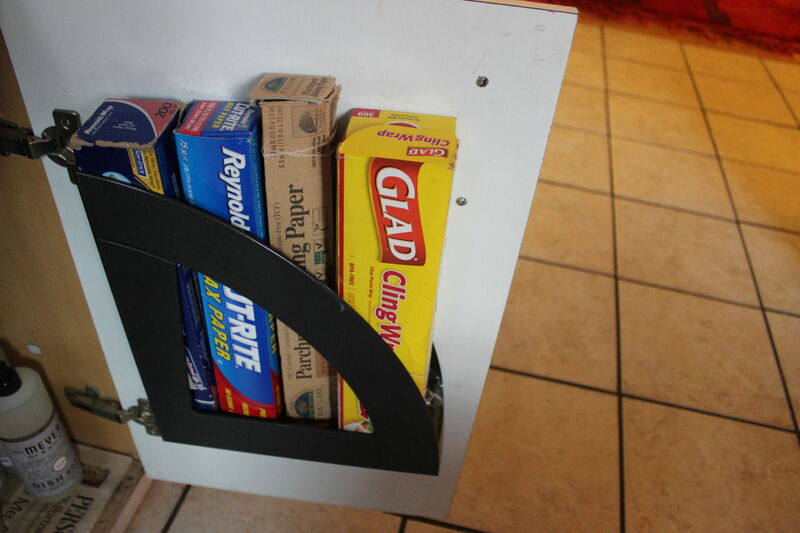 A magazine rack glued to the inside of a door is simple enough to DIY. 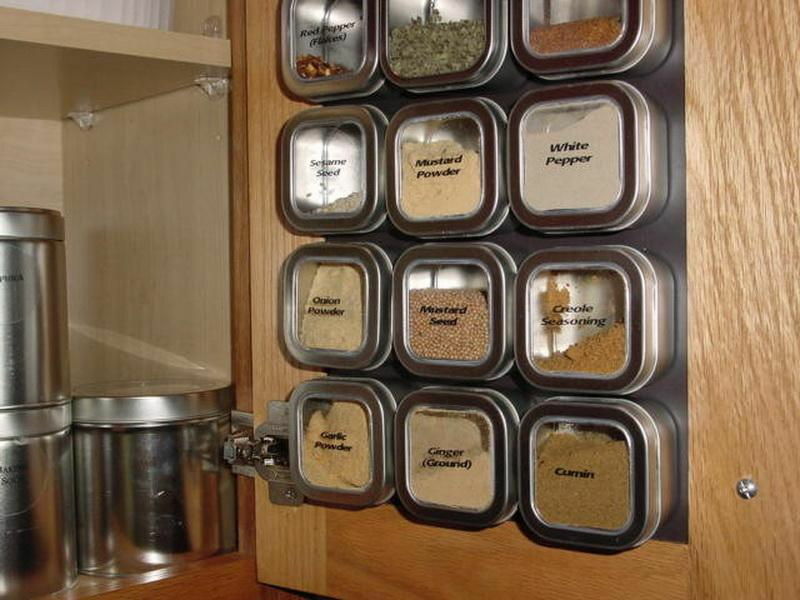 A particularly clever idea is to keep spices in magnetic containers which can be stuck on any metallic surface like your refrigerator. If your kitchen is not particularly wide, a normal refrigerator can rob you of valuable floor estate. Look for cabinet-depth versions that blend into the background. If possible, you can also create a recess behind your regular refrigerator or oven so that you can roll it back. There might not be space for a commercial grade coffee machine with grinder, frother, and the works. Opt for a French press which you can leave on the stove instead. The same goes for other appliances such as microwaves, refrigerators, rice cookers, kettles, and ovens. Determine your needs based on number of people in your household and how much you consume daily. A reduction in size does not mean a reduction in function or specifications. Shop wisely. Another great tip is to choose single bowl sinks instead of doubles. You can also switch to slimmer knobs and handles on drawers and cupboards for a sleeker look. While these tricks don’t actually create space, they can make you believe they did which is just as good. Under-cabinet lights brighten counter space and make a small space look bigger than it really is. Mirrors, reflective surfaces, and white paint work the same way, reflecting light to lend depth and width to your room. 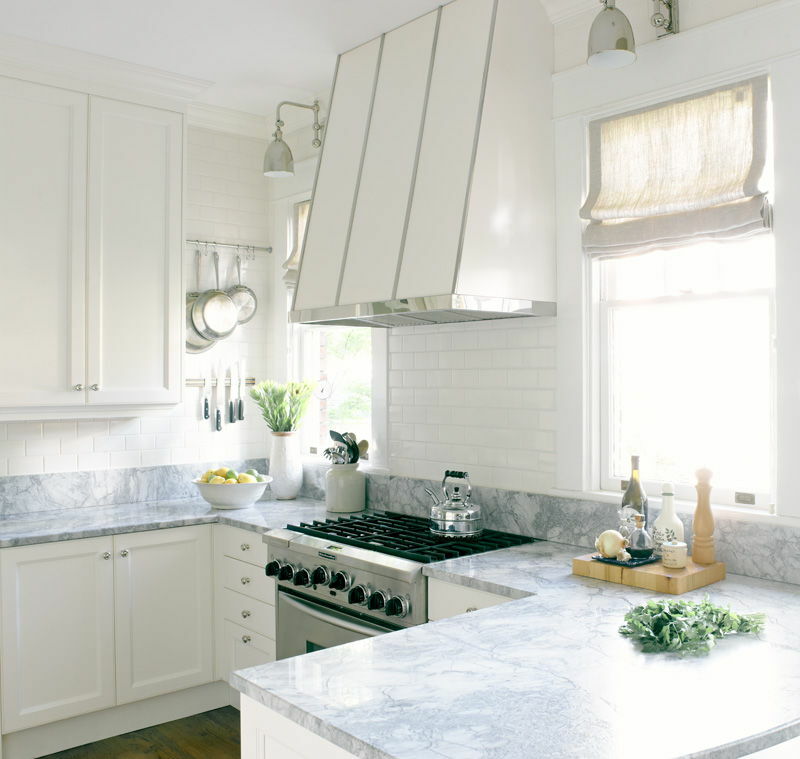 It’s natural to come home and make a beeline for the kitchen – you drop your keys on the counter, tear open envelopes with your knife and leave them there, or hang your jacket or bag over a chair. Yeah, stop doing that. For more ideas on maximising small spaces, read our article on design ideas for small spaces or the one about built-in hacks.